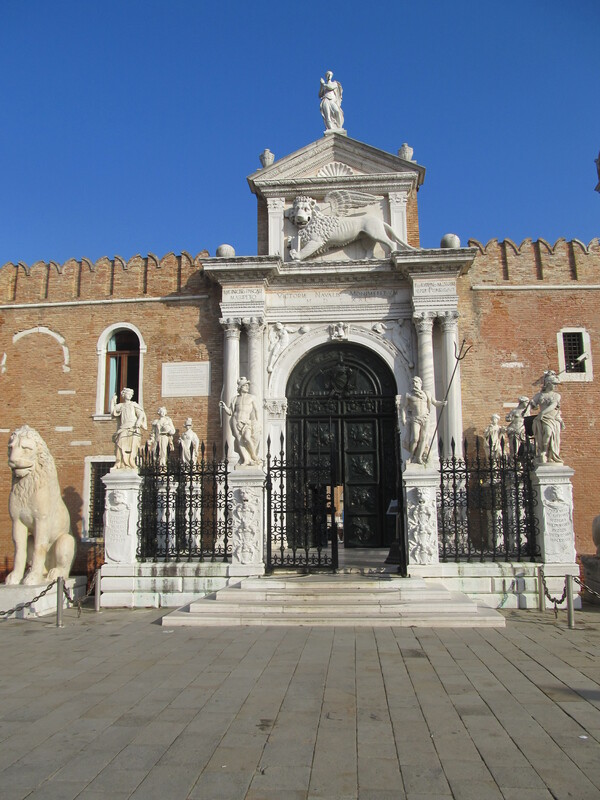 The Republic of Venice was a leading maritime power for many centuries. 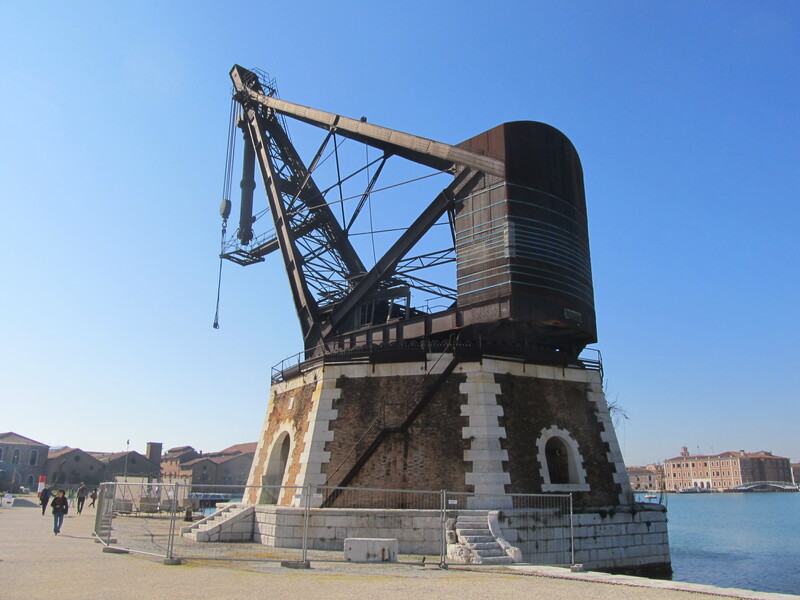 The Venetian Arsenale built galleys for the state from the beginning of the C14. It was probably the largest and most efficient industrial enterprise in Europe with a nearby workforce, workshops including a public bakehouse for the biscotti, the main component of the diet of the galleymen, and the Tana or ropewalk. However, when Venice fell to Napoleon in 1797 it was in decline. 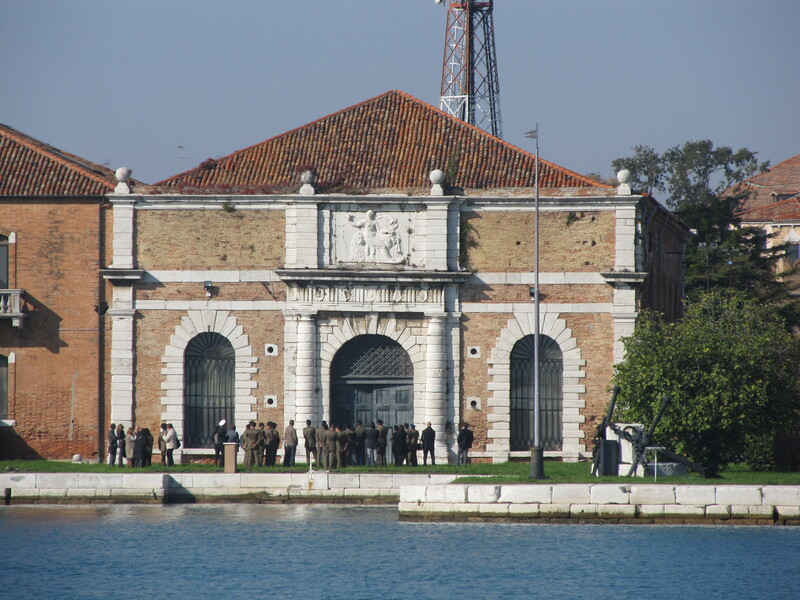 In 2006 the NDS Symposium explored Venetian influences on British seapower and the design of ships and dockyards in the C16 and C17. Lady Frances Clarke described the Armstrong Mitchell Crane no. 2919, built in Newcastle-on-Tyne, reported in Dockyards, 12(1), 11-12 (March 2007). The Symposium papers were published in Ray Riley, ed., Transactions of the Naval Dockyards Society, 5, Venice & Malta (2009). Photos taken by David Davies in 2012. 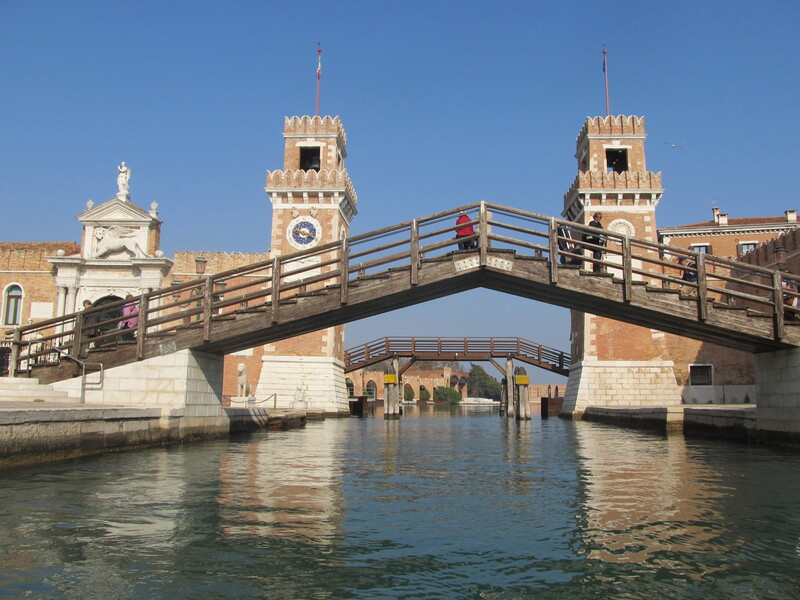 Venice Arsenale gateway. Image by J. D Davies. 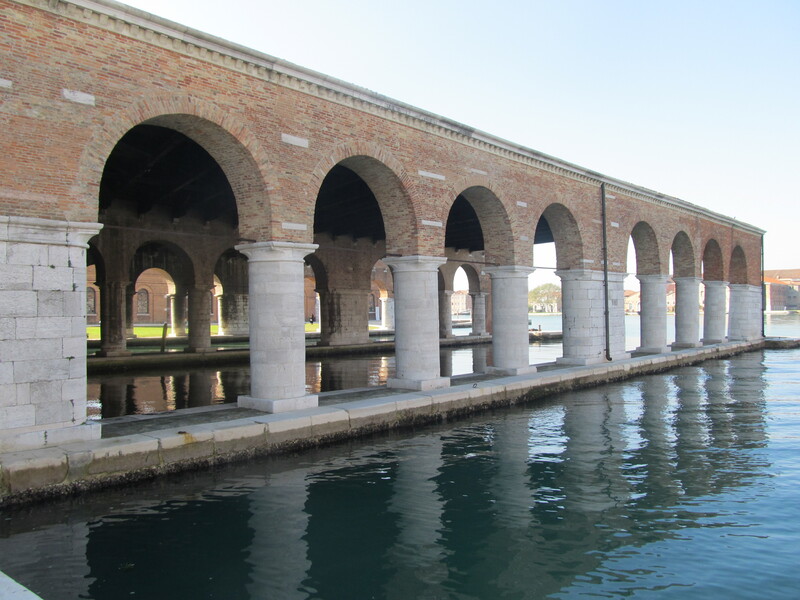 Venice Arsenale. Image by J. D. Davies. Armstrong Mitchell crane (1883). Image by J. D. Davies. Gaggiandre wet dock. Image by J. D. Davies. Masting tower. Image by J. D. Davies. 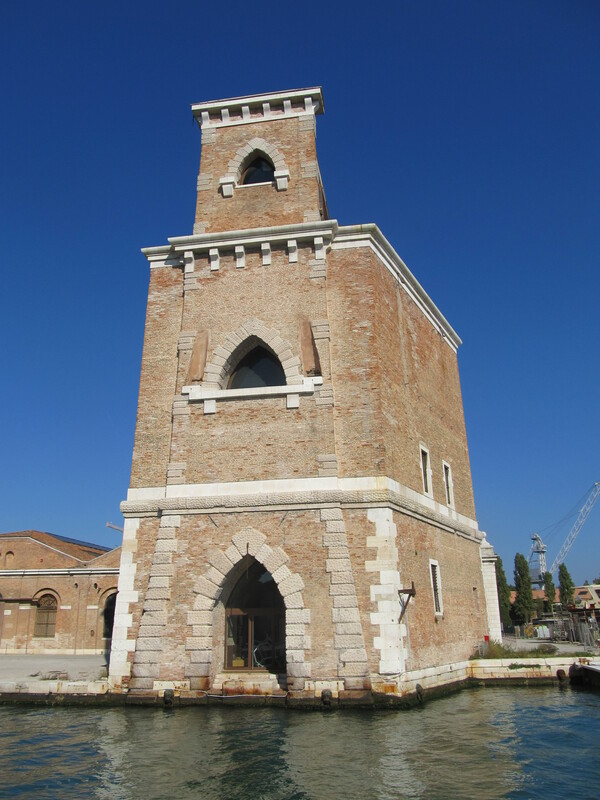 Venice Arsenale water entrance (in Venice Marine Museum 2012). Image by J. D. Davies.